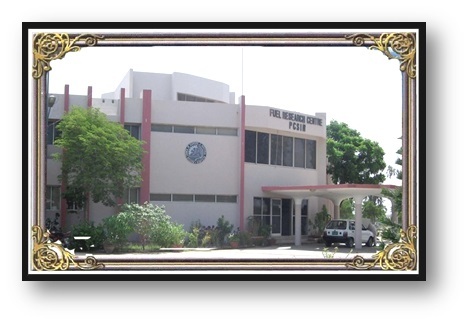 Fuel Research Centre (FRC) of the Pakistan Council of Scientific and Industrial Research (PCSIR) is the foremost research and development (R&D) centre having the capability to undertake comprehensive R&D, analyses and testing of not only solid fuels like coal and coke but also liquids like gasoline, diesel and petroleum products obtained from coal and petroleum refineries. Thus FRC has served a number of industries and stake holders of Thar Coal and other coal exploring / mining agencies in helping the evaluation of their coal and fossil fuels.FRC is also engaged to address the issues regarding coal characterization, combustion and utilization. FRC has recently become focal point for cement industries, coal minors and suppliers to assess the quality of coal for their utilization in industries. The centre also carry out research in beneficiation, desulphurization and upgradation of indigenous coals.